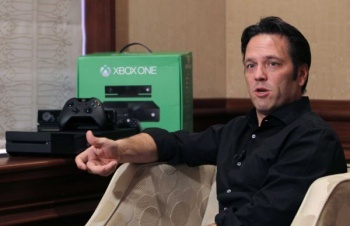 Xbox head Phil Spencer claims he was hurt personally regarding the Xbox One's DRM/always-online controversy since he believes Microsoft builds Xbox "for the right reasons." Just this weekend, we reported on how Xbox division boss Phil Spencer admits some "wrong decisions" were made with Microsoft's Xbox One. Now, in Larry "Major Nelson" Hryb's latest podcast, Spencer states that last year's Xbox One DRM/always-online controversy has hurt him "personally," since he believes Microsoft builds Xbox "for the right reasons." I believe in why this company builds products. It's one of the reasons why the whole thing around last summer with Xbox kind of hurt me personally so much...Because I know we build Xbox for the right reasons. We didn't completely communicate it the right way; some of the decisions maybe didn't land or weren't the right decisions and we changed some of those. But this a company that has the resources to really do things that change the world. This isn't the first time Spencer has spoken out about Microsoft's failed DRM scheme for Xbox One. Just last month, the executive admitted that Microsoft shouldn't have "sugar-coated" the Xbox One controversy. Do you agree with Spencer that Microsoft is building Xbox for the right reasons, or has it proven with its initial Xbox One DRM reveal that it's out to control how gamers play, use and sell their games if given the chance?